Margit Dyrland who defended her PhD thesis at UNIS in February 2010, has recently been awarded a 3 year personal post-doctoral fellowship from the FRINAT programme of the Norwegian Research Council (NFR). Only 13 of 148 project proposals were funded, and of these only tree were personal post-doctoral fellowships. The project will run from 1.1.2011 to 31.12.2013, and includes a 10 month research stay at Utah State University, USA. More information about the project can be found below. Gravity waves (GWs) play an essential role in determining the global circulation and thermal balance of the atmosphere. Gravity waves are generated in the troposphere when wind blows over mountains, at high pressure systems or sea-land borders. 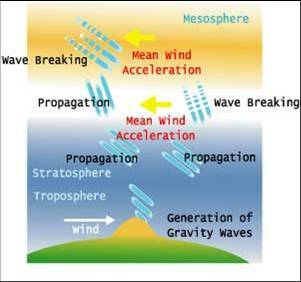 The waves break in the stratosphere and mesosphere where they drive the circulation of air. Knowledge of the seasonal and latitudinal behavior of the GW momentum flux is essential to understand how they interact with the mean circulation and what role they play in determining the weather and climate in the whole atmospheric column. 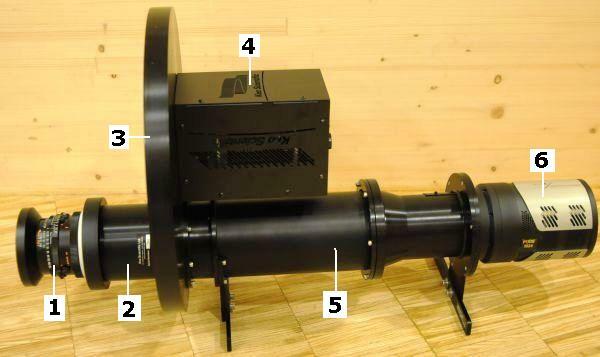 The KeoSentry4ix imager is designed to image near-infrared emissions from the OH(6-2) band of airglow. The primary objective of the project is to use data from this imager to study the dynamics of the OH layer at 87 km altitude. 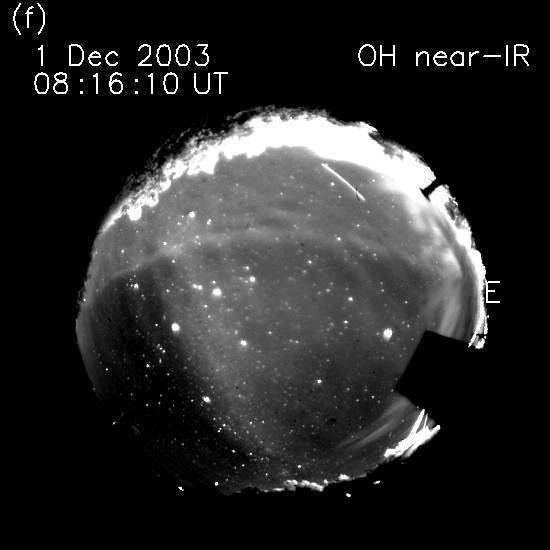 The dynamics is mainly controlled by gravity waves breaking at this altitude region and these can be observed as varying horizontal intensity in the airglow images. From the pictures, the wave characteristics can be derived (wavelength, period, phase, speed, momentum flux etc.). From the ratio of intensities from two different OH bands, the temperature of the OH layer can be derived. These data will be compared to the temperatures we measure with an Ebert-Fastie spectrometer in use at Svalbard since 1980. Other instruments such as radars and satellites will also be used for the wave characterization. The results will be compared to existing atmospheric models and observations from other latitudes. The ultimate goal is to contribute to the understanding of Earth's weather and climate in all atmospheric regions, and how these are linked. More specifically the results of the project are expected to be an important key for the development and validation of weather- and climate models. It is well known that gravity waves are a major factor determining the circulation and thermal state of the atmosphere, still they are poorly represented in models. Records of gravity wave characteristics are therefore valuable for making realistic gravity wave parametrizations for models. This is particularly important at high latitudes, where the atmosphere is more dynamic and less understood than at lower latitudes. Gravity waves illustration. Illustration: Space Physics Research Group, University of California at Berkeley. KeoSentry4ix airglow imager. (1) Mamiya RB67 Fish-eye lens, (2) collimator lens, (3) filterwheel, (4) Smart motor system, (5) relay optics, and (6) CCD detector. Photo: F. Sigernes. Gravity waves observed in OH airglow from Arecibo Observatory, Puerto Rico. Courtesy: Dr. Steven Smith, Center for Space Physics, Boston University.